How can you force the Gentiles to live as Jews? That’s the pointed question Paul asked Peter (Gal. 2). Peter was flirting with a double standard. He was willing to chow down on some bacon and pork chops when his Jewish brothers weren’t around. But if he caught word that some fellow Jews were dropping in, he would drop out. He wasn’t about to let them catch him at a Gentile barbecue. Before this confrontation, Peter and Paul had been on the same page. At the Council of Jerusalem, they both insisted Gentile believers shouldn’t be burdened with Jewish practices that aren’t necessary for salvation or sanctification (Acts 15). While the Council did touch on the issue of permissible foods, it mainly focused on circumcision and faith. Many Jewish followers of Jesus thought Gentiles should be circumcised before they could be properly considered God’s children. Can you imagine what a Jewish evangelistic conference might look like? Yikes. “Come to Jesus. For you Gentiles, there’s a medical tent stage right.” I’m not sure “Just As I Am” would be an appropriate hymn. I digress. I think, like Peter, we are guilty whenever we embrace the theory but not the people. We are guilty whenever we tether our cultural practices to the gospel, baptize them, and export them as necessary requirements for following Jesus—or even just sharing a meal together. This can show up in international missions when we expect converts to sing Western hymns, speak English, and conform to Western cultural norms in order to be accepted in the church. It can also happen in the States when we devalue minority cultures in the church by either ignoring or rejecting their respective expressions of worship. Could we be guilty of seeking, however inadvertently, to homogenize the faith community? Do we prefer the comforts of our culture over the diversity of Christ’s kingdom? I’ll just say this: I’m glad the gospel is big enough to redeem people and to redeem their categories of cultural expression for his purposes. If you don’t like diversity, you are going to hate heaven. It’s the one place where no one will fight over whose cultural expressions are best suited for God’s work. At the throne of a resurrected Jewish carpenter, Peter and Paul will be standing side by side, surrounded by a radiant sea of people from every tribe and tongue crying out in perfect harmony. Before that throne above, our theology and practice will finally be wed together perfectly and eternally for God’s glory. So preach the gospel. Don’t add to it. Don’t subtract from it. And don’t export your cultural baggage as a standard for salvation or sanctification. The gospel is offensive enough without your help. And when you carve your Easter ham this weekend, think about Peter, who once backed away from the table out of embarrassment. 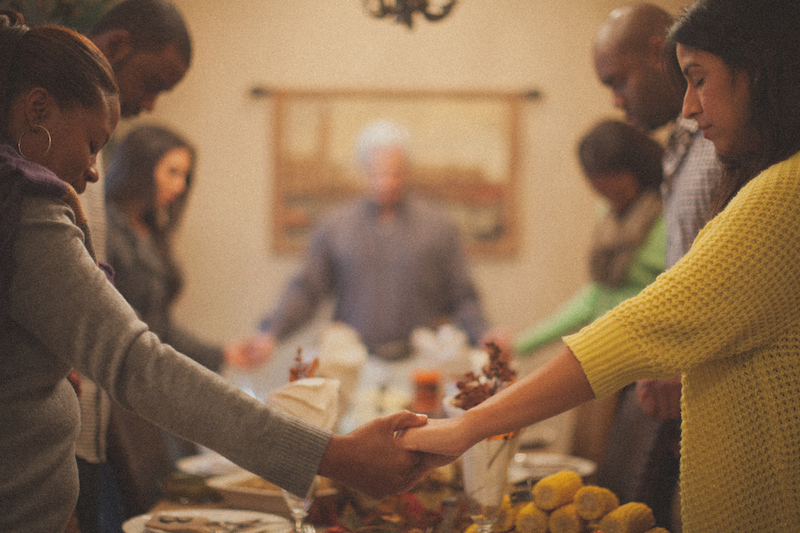 Even more, let your Easter meal remind you of the Marriage Supper of the Lamb, where we will dine together—in all our diversity and unity—with the risen Lamb.